As the world’s most expensive city to rent in you’d think there are no more affordable places to rent from in SF, oceanside to bayside. After all the median rental in the city is over $3,000 a month. However, there are snug and sort-of-well appointed studios running for $1500 that sf.curbed.com explored in a recent column. They found that for that price you can live in the Tenderloin or Mission and a few other places in relative comfort and pretty darn cheap for SF. Of course, one studio for that price doesn’t have a kitchen, but who needs a kitchen with a hundred restaurants and eateries right outside your door? Two years ago these places went for $1300 so there is rental upswelling here. 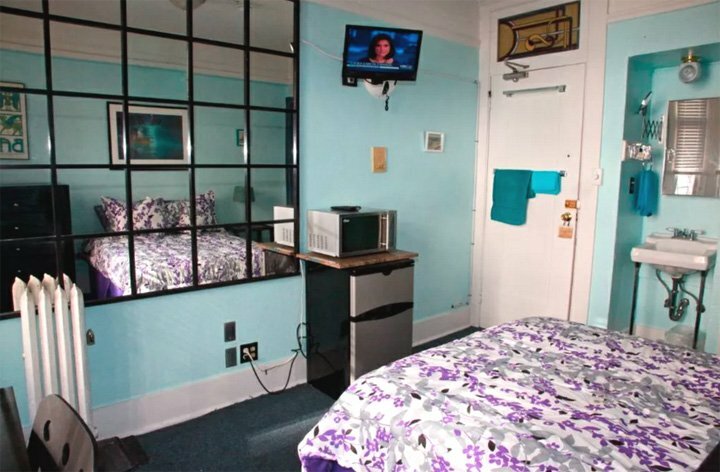 Over in Cow Hollow there’s a studio for $1500 that has more space, its own bathroom and a sink cupboard. Over in the Sunset District a nice cozy attic apartment sports 2 bedrooms and 1 bathroom, and a kitchen—all for $1500 a month. Then, there are a couple of in-law units over in the far, far Outer Mission neighborhood. Almost all of these have No Pets Allowed, so Lassie dog or Sally cat can’t take advantage of the cheaper SF rents.